Mr. Turner shares primary responsibility for the formation and implementation of investment strategy, investor relations, review of prospective investments, preparation of financial analyses, conducting market due diligence and management of acquisition and ultimate dispositions process for all prospective investments. Additionally, Mr. Turner has asset management responsibilities for certain of the owned assets in the currently active Brookdale fund(s). 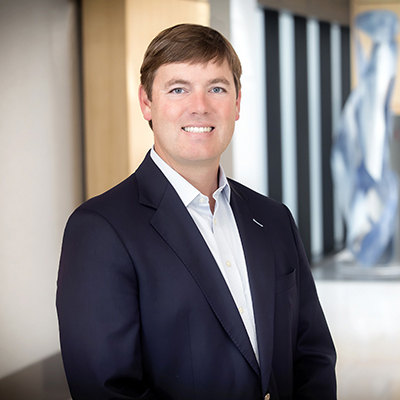 Prior to joining Brookdale in 2001 as an acquisitions analyst, Mr. Turner worked for three years in the Atlanta office of Highwoods Properties, where he was responsible for the leasing of office and industrial properties. Mr. Turner holds a BSBA degree from the University of North Carolina at Chapel Hill. Mr. Turner is a former member of the board and was the 2015 President of the Georgia Chapter of the National Association of Industrial and Office Properties (NAIOP), a full member of the Urban Land Institute (ULI), a graduate of the Urban Land Institute Center for Leadership, and a member of the National Association of Real Estate Investment Management (NAREIM). Mr. Turner also serves on the University of North Carolina at Chapel Hill Board of Visitors and the Advisory Board at the Wood Center for Real Estate Studies for the Kenan-Flagler Business School at the University of North Carolina at Chapel Hill.